High school students in Elko, Humboldt, Lander, Lincoln, Mineral, Nye, Pershing and White Pine counties qualify. High school students can now get an early start on their college education this summer for little to no cost. 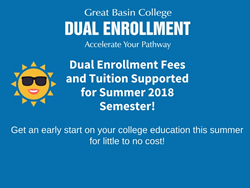 Great Basin College has received a College and Career Readiness Grant from the Nevada Department of Education to increase access to dual enrollment classes for high school student populations by providing financial assistance for tuition, fees and textbooks. This grant will increase access to an already excellent Dual Enrollment partnership GBC maintains with all the rural school districts within the GBC area of outreach. 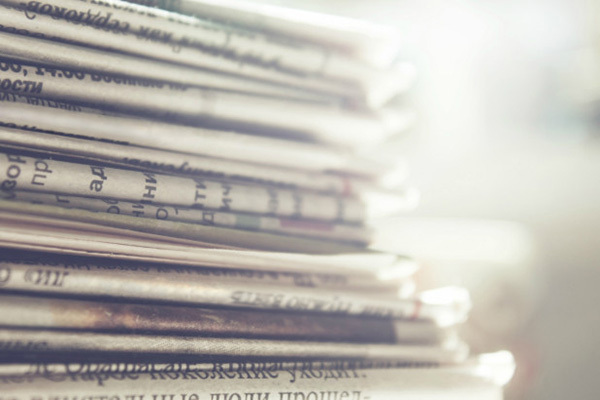 Depending upon funding availability and demand, the grant may cover some or all of the costs including application fee, registration fees, technology fees, lab fees, and textbooks. 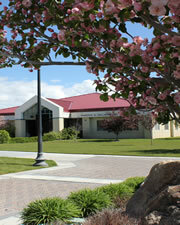 GBC offers course delivery options including live classroom, interactive video, and online. Dual enrollment students can enroll in courses for which they meet the prerequisites, most of which are 100-299 level courses. To view the summer 2018 class schedule, visit the GBC website, www.gbcnv.edu. All students interested in dual enrollment should fill out the College and Career Readiness Grant form along with a high school counselor signed registration form by Tuesday, June 12 to be considered for funding during the summer 2018 semester. The form is available online at: http://www.gbcnv.edu/academics/dualcredit.html.